Happy Saturday! I’m Liz Zadnik, Outreach Coordinator here at aea365. You may also recall I work in the anti-sexual violence movement at a state coalition. 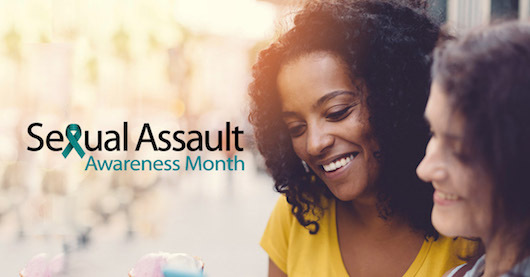 This time of year is incredibly important and busy for folks in the movement, as April is Sexual Assault Awareness Month (SAAM). Activists and communities have been commemorating and raising awareness about sexual violence for decades – each year is a time for us to remember and honor victims, as well as engage communities in vital conversations about safety and respect. This year’s theme is Prevention is Possible, a sentiment near to my heart. Rad Resource: The National Sexual Violence Resource Center has put together a social media toolkit, complete with status updates, hashtags, and suggestions for promoting prevention online. There are a number of ways to evaluate and assess social media programs and reach – most platforms have analytics and ways for you to gather statistics. Lesson Learned: I’ve learned, after years working with local organizations and activists, that prevention is possible when you have a clear vision of our goal. For me, that vision is a community where children can play in a safe park and women and gender nonconforming people can move around their neighborhood un-harassed. Having a clear, measurable, achievable goal is crucial for program development and evaluation. What is going to get us closer to that goal? Hot Tip: Incorporate this year’s theme – whether sexual violence prevention-related or otherwise – into a blog post, tweet, status update, or message. I believe prevention is about getting to the root causes of trauma; racism, sexism, ableism, homophobia, transphobia, and other forms of oppression perpetuate violence. How can we connect our work to the dismantling of these structures and constructs? If you’re working on youth development, how is your evaluation project bearing witness to the historical inequities of a community? How is your work interrupting a silence or harmful norm? I hope April brings peace and sunshine to you, brilliant reader! I think that bringing awareness to sexual assault is so important in today’s society as well as many other issues. You are correct in saying that prevention is possible with a clear vision for the goal. There are so many organizations that have different goals and it seems that those who have brought awareness are creative when presenting the information. I have always been aware of the organizations that have presented the information in a way that has touched me emotionally. I believe that the more we bring awareness to issues affecting all of us, we can collectively work together on prevention and creating future solutions. All great work has a purpose.